Sonshine Productions is a musical drama ministry based at Bethel United Methodist Church in Columbus. Featuring a cast of 30 teenagers, the ministry produces original Broadway-style musicals that are based on both Old and New Testament stories. 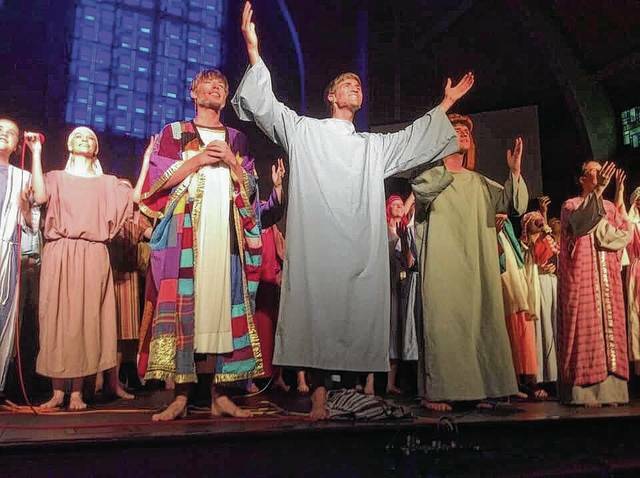 MECHANICSBURG – Sonshine Productions, a musical ministry theater company from Columbus, will be stopping at the Mechanicsburg United Methodist Church to perform for the local community as a part of their annual summer tour. On Thursday, June 22, the original musical drama Spark From the Ashes will be presented at 7 p.m.
Sonshine Productions is a musical drama ministry based at Bethel United Methodist Church in Columbus. Featuring a cast of 30 teenagers, the ministry produces original Broadway-style musicals that are based on both Old and New Testament stories. Full costuming, props, lighting, and sound, along with an exciting contemporary musical score, all help bring these texts to life. Since 1980, both youth and adult casts have performed Sonshine musicals all over Ohio and throughout the country. The musical Spark From the Ashes is the story of a Jewish priest named Jairus who risks his reputation and position to ask a traveling preacher named Jesus to heal his dying daughter. It is a story of faith and trust – and ultimately, the goodness of God. The musical was written by Kurt Fox, a Columbus native and English teacher at Olentangy High School. The script was written in response to the author’s own struggle with his father’s untimely death from cancer. The musical score was composed by Sonshine founder and director, Mark Fox, who also serves as director of music at Bethel United Methodist Church and is the former director of bands at Franklin Heights High School in Columbus. Mechanicsburg UMC is located at 42 North Main St., near downtown Mechanicsburg. The church has elevator access through the parking lot entrance. Although there is no charge for admission, a freewill offering will be accepted by Sonshine Productions to offset the great expense of their tour. For more information about the show, visit www.sonshineproductions.org or call the church at 937-834-2410.